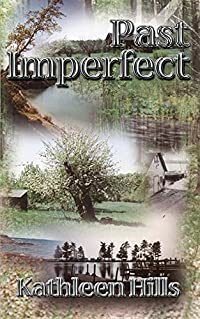 Past Imperfect by Kathleen Hills, a Mysterious Review. Review: Kathleen Hills' debut mystery, Past Imperfect, marks the introduction of John McIntire of Michigan's Upper Peninsula. Hills does a fine job defining the tone of the book with detailed descriptions of the landscape and its people and capturing the remoteness of area. Setting the book in the 1950's also seems appropriate for the characters and locale. The pace of the prose is just right making this a very enjoyable book to read. The mystery, while not terribly original, is sufficiently intricate to keep the reader interested, but not too difficult to follow. The Upper Peninsula of Michigan makes an interesting setting for mysteries and Hills has carefully thought out the character of John McIntire. Past Imperfect is a terrific start to a most promising series. Acknowledgment: Poisoned Pen Press provided an ARC of Past Imperfect for this review.